← Reaping What You Sow in Autumn, & Changes for ReadingsByOctober. I wanted to post the Video HERE, but you know how the internet is, sometimes. SO until I become sleuth enough to find a link that actually works with WordPress, that escapes the all seeing eye of the Information Interstate patrol, I’m just gonna post the links to where you can see it. 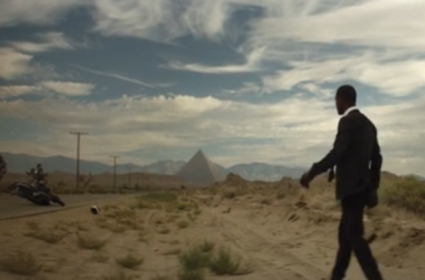 This video is the Pop-Off joint to a little inspiration I’ve been getting to go to Egypt. Just examining what this whole, "being human" thing is about. Usually through the study of what creates/created a humanity and all physical experience; Metaphysics. I got a whole crew of peoples who got my back. Source/God/Goddess/Jesus/Higher-self/Psychic Intuition, and all 'dem. This entry was posted in Quick Post. and tagged desert, egypt, frank, isis, magic, ocean, ophiucus, pyramids, video. Bookmark the permalink. Dope! Sounds like remote viewing. What was the dream about?